Lighthouse Inn at Cannon Beach — Located one block from the beach in the very desirable mid-town area of Cannon Beach, the Lighthouse Inn is just a short walk to Haystack Rock as well as unique cafes, art galleries, shops and restaurants making it strategically well located. 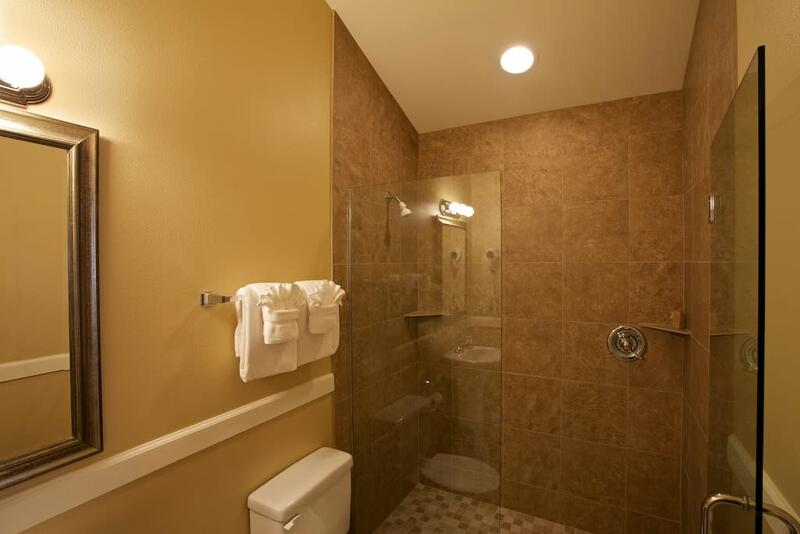 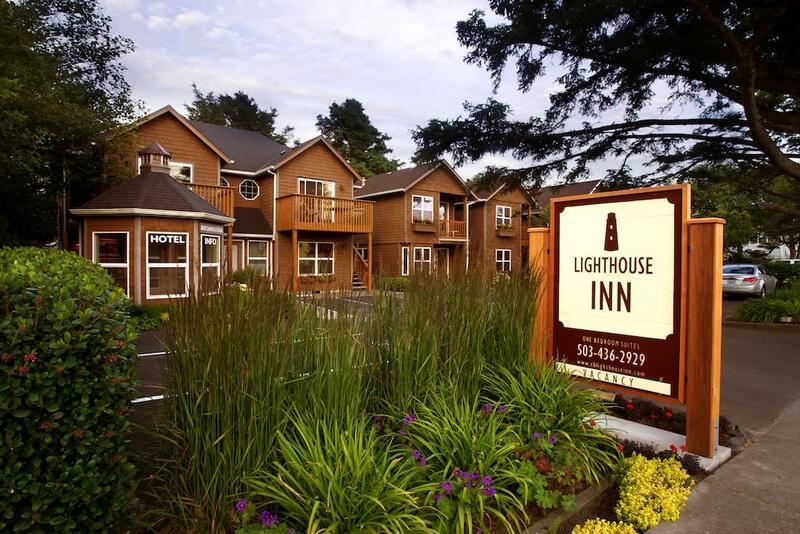 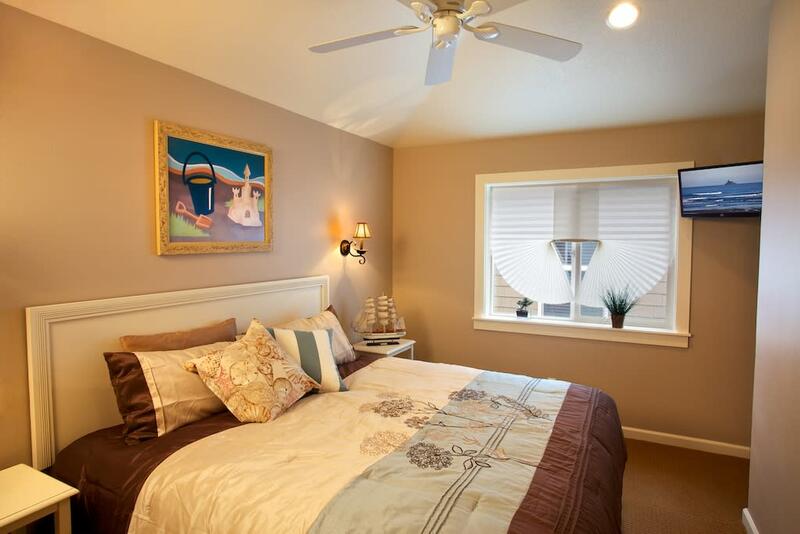 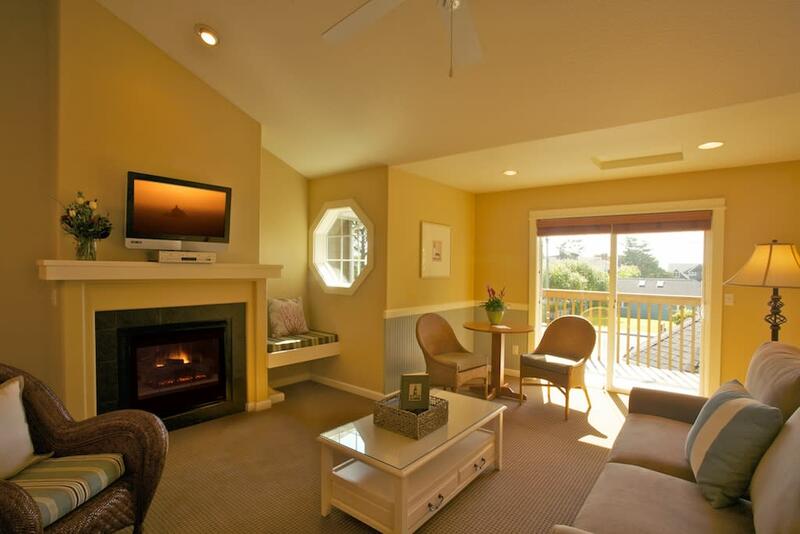 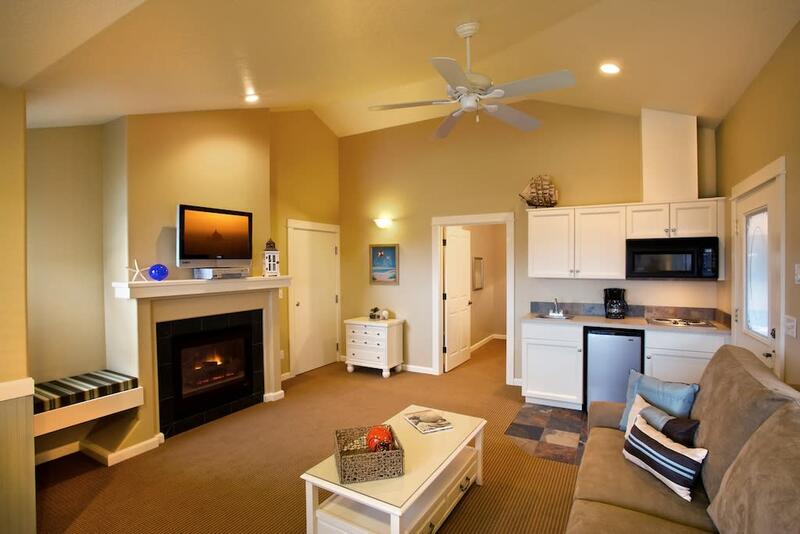 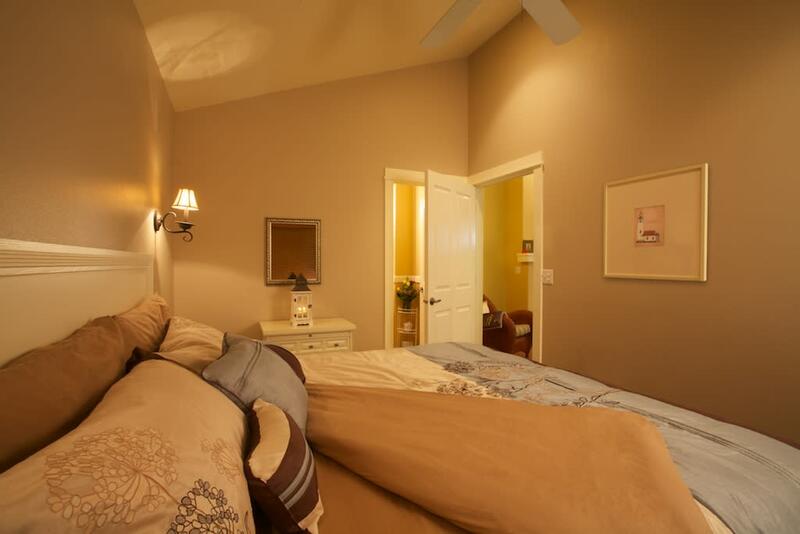 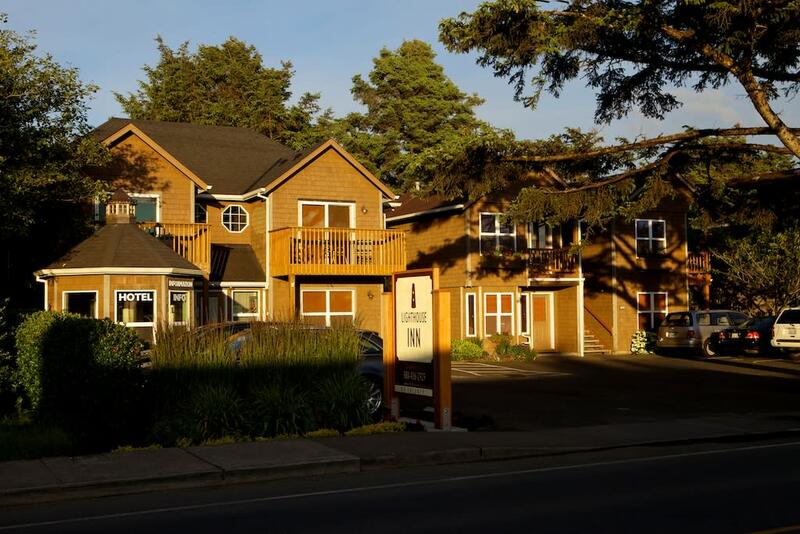 The Lighthouse Inn is a boutique style inn offering eight welcoming suites each accommodating up to four people. 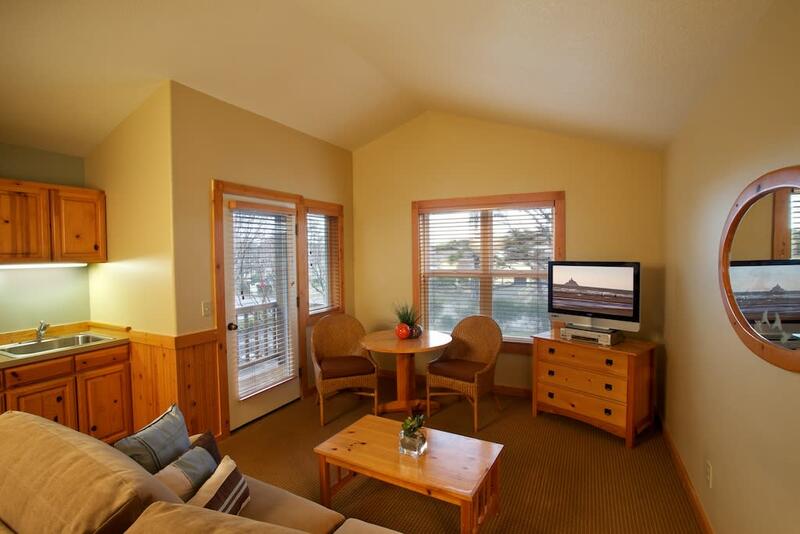 It is ideal for accommodating parties of up to 32. 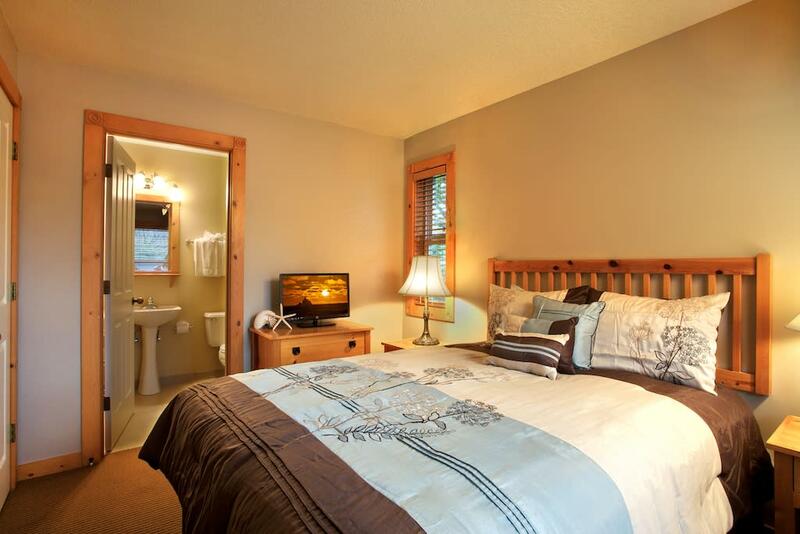 The rooms offer inviting atmospheres with gas fireplaces, whirlpool-bathtubs, full kitchenettes, king or queen beds and VCR or DVD players. 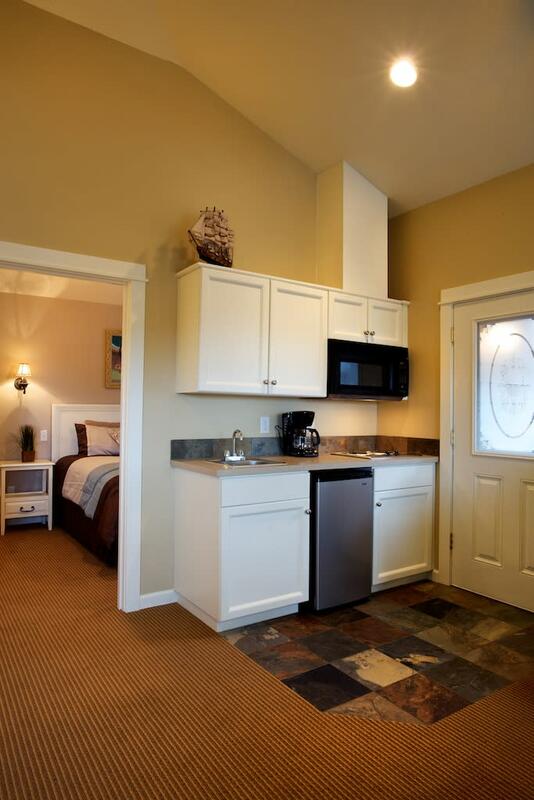 All suites include a master bedroom and a separate living area with a sofa-sleeper couch.